Safe Water Engineering LLC was founded by Elin Betanzo to improve access to safe drinking water through engineering and policy consulting. 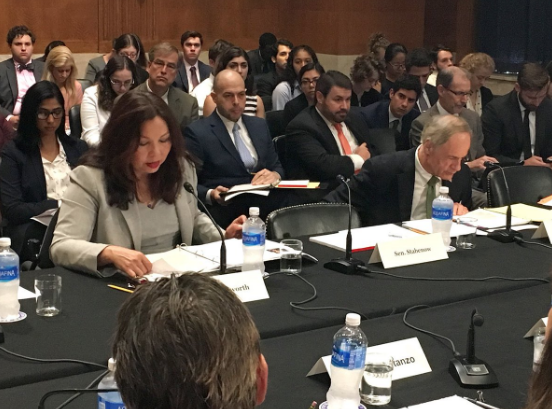 On July 13, 2017 Senator Tammy Duckworth, D-IL, invited Elin Betanzo of Safe Water Engineering to speak at a round table hosted by the Senate Environment and Public Works Committee titled "Drinking Water: A Crisis in Every State." A recording of the discussion is available here. Safe Water, All The Time. Copyright © 2017, Safe Water Engineering LLC, All Rights Reserved.